This plant is getting lots of indirect sunlight. I keep the cup full of water. I have checked several websites about this plant and I cannot find why the leaves are turning dark green and black. I have gotten and am still getting new leaves right where the cup of the plant is. I would appreciate all the help I can get. Thank you everyone for all your time and patience. thank you very much for the answer to my question and i really appreciate your help. I'm gathering that your bromeliad is potted. 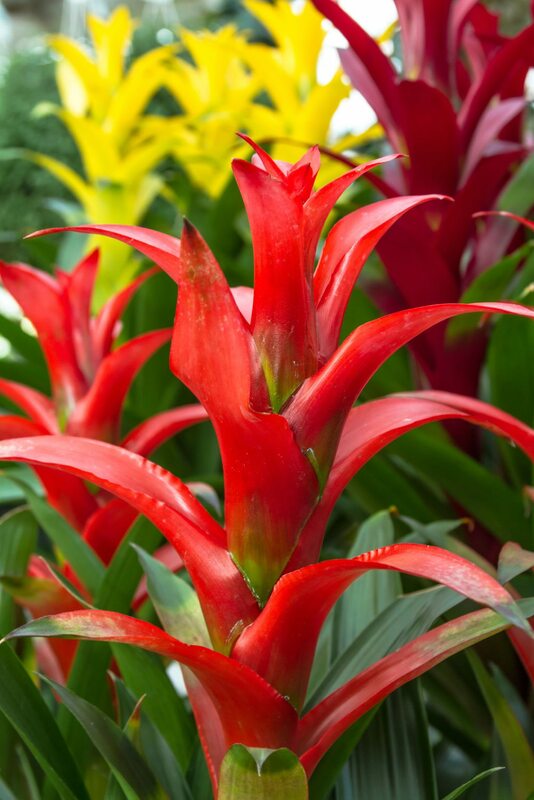 The problem is easy - you shouldn't keep the cup of potted bromeliads full of water. In fact, you shouldn't put water into the cup at all. Water your brom on the soil surface, and treat it like a cactus. I know the information available always tells you to keep the cup full, but that only applies to outdoor plants. All the people in the interior landscaping industry learned this the hard way when we first started using bromeliads extensively some 20 years ago. 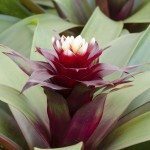 All bromeliad growers and articles say to water the cups, but if you do that indoors, the plants inevitably get rot and die.